Around The World in 80 Plants: published on 19th November 2014! | Edimentals ! 281218: I’m now sending signed copies of my book from home in Malvik with any dedication you wish! What has underground gardening in Tokyo, the origin of garlic and an English bishop got in common? 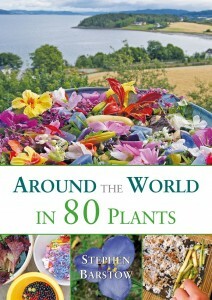 They are all stories from the original, groundbreaking book, Around The World In 80 Plants. Perennial gardening will never be the same again, nor will be your kitchen repertoire! Around The World In 80 Plants takes us on an inspiring edible adventure across the continents, introduacing us to the author’s top 80 perennial vegetables, with inspiration along the way from local foraging traditions and small scale domestication. Each plant has its own ethnobotanical story to tell; introducing Sherpa vegetables of the Himalayas; forest gardened and foraged vegetables of the Sámi people of Arctic Scandinavia; a super-vegetable of the Maori of New Zealand; an onion with a 1,000 year history linking the author’s home and Iceland ; a plant which earned the name ‘supermarket of the swamps’; the traditional veggie roof gardens of Norway; clifftop perennial vegetables of Dorset’s Jurassic coast; the Hampshire perennial vegetable triangle; Scandinavias best kept secret, a long-lived spinach that climbs; Prince Charles’ Forest Garden, and inspiring multi-species dishes of the Mediterranean countries. A thorough description is given of each vegetable, its propagation, cultivation and uses, and also how to source seed and plants. 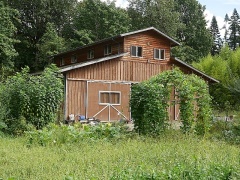 As many of the author’s selections are what he calls ‘edimentals’ – edible and ornamental –Around the World in 80 Plants will be of interest to traditional ornamental gardeners as well as anyone interested in permaculture, forest gardening, foraging, slow-food, gourmet cooking, traditional preservation techniques and ethnobotany. Stephen has devoted over 30 years trialling the world’s perennial vegetables. He grows more than 2,000 edible plants in his garden close to the Arctic Circle in Norway, and in 2003 earned the title ‘Extreme Salad Man’ after creating a salad using 537 varieties, inspired by multi-species Mediterranean dishes! Sprinkled with recipes inspired by local traditional gastronomy, this is a fascinating book, an entertaining adventure and a real milestone in climate-friendly vegetable growing from a pioneering expert on the subject. Eric Toensmeier, award-winning author of Paradise Lot and Perennial Vegetables, and the co-author of Edible Forest Gardens. “Stephen Barstow presents fascinating and useful information about his top 80 perennial leafy vegetables including lots of historical references, his and others’ recipe ideas, along with photos and more. Many of these are easily grown and can be ornamental as well as great edibles. This will be a really useful book helping extend the range of food plants for gardeners.” Martin Crawford, Agroforestry Research Trust. Update 27th January 2015: Now avaliable in epub, mobi and pdf formats exclusively (for the time being) from http://www.green-shopping.co.uk/ebooks/permanent-publications-ebooks/around-the-world-in-80-plants-ebook.html price £12.95. Kindle will also be live on amazon soon as will iTunes. Format : Paperback, 304pp. Illustrated with 448 colour photographs. Pingback: Holma Forest Garden video! | Edimentals ! Pingback: Allium victorialis diversity | Edimentals ! Thank you for your very interesting lecture at Oikos in november and for the book. Flott bok, og veldig fin blogg du har opprettet. Har du noen bøker liggende på Østlandet som vi kan selge på Hagemessen på Lilletrøm 20. – 22. april. Ja, det er noen som ligger hos Helene Gallis i Oslo pluss noen få hos min datter, også i Hurdal! Pingback: Om Scorzonera: en hardfør helårs grønnsak | Edimentals ! Pingback: Mot en Norsk Spiselig Flora / Towards a Norwegian Edibles Flora | Edimentals !